In the light of the principles enunciated by the Supreme Court in Totgars Co-operative Sale Society (supra), in case of a society engaged in providing credit facilities to its members, income from investments made in banks does not fall within any of the categories mentioned in section 80P(2)(a) of the Act. However, section 80P(2)(d) of the Act specifically exempts interest earned from funds invested in co-operative societies. Therefore, to the extent of the interest earned from investments made by it with any co-operative society, a co-operative society is entitled to deduction of the whole of such income under section 80P(2)(d) of the Act. However, interest earned from investments made in any bank, not being a co-operative society, is not deductible under section 80P(2)(d) of the Act. Assessee is in appeal before the Tribunal against order of ld.CIT(A)-I, Surat dated 31.8.2015 passed for the Asst. Year 2012-13. 2. Though the assessee has taken five grounds of appeal, but its grievance revolves around a single issue viz., the ld. CIT(A) has erred in confirming the dis-allowance of exemption available to the assessee under section 80P(2)(a) on the interest income amounting to Rs. 54,31,730/- received from State Bank of India. such income does not qualify for grant of deduction under section 80P(2) of the Income Tax Act, 1961. Accordingly, he disallowed deduction under section 80P on interest income of Rs. 54,31,730/-. Appeal to the CIT(A) did not bring any relief to the assessee. “Whether on the facts and in the circumstances of the case, the Income Tax Appellate Tribunal was justified in holding that interest income of Rs.16,14,579/- on deposits placed with State Bank of India was not exempt under section 80P(2)(a)(i) of the Income Tax Act, 1961? 5. Brief facts in this case are that the assessee society was registered under Gujarat Cooperative Societies Act, 1961. It was constituted with object of accepting deposits from salary persons of the State Bank of India, Gujarat region with a view to encourage thrift and providing credit facility to them. The assessee society has launched various deposits schemes such as term deposits, recurring deposits, aid to family scheme, members’ retiring benefit fund etc. It has provided loans to members, such as consumer goods loan, car vehicle loan, foodgrain loan and general purposes loan. The assessee society had made deposits with nationalised banks which has resulted interest income of Rs. 16,14,579/-. It claimed deduction of this amount under section 80P(2) of the Act. “13. In the opinion of this court, in case of a society engaged in providing credit facilities to its members, income from investments made in banks does not fall in any of the categories mentioned under section 80P(2)(a) of the Act. In the case of Totgars Co-operative Sale Society (supra), as rightly submitted by the learned counsel for the respondent, the court was dealing with two kinds of activities: interest income earned from the amount retained from the amount payable to the members from whom produce was bought and which was invested in short- term deposits/ securities; and the interest derived from the surplus funds that the assessee therein invested in short- term deposits with the Government securities. This is further clear when one peruses the decision of the Karnataka High Court from which the matter travelled to the Supreme Court wherein it was the case of the assessee that it was carrying on the business of providing credit facilities to its members and therefore, the appellant society being an assessee engaged in providing credit facilities to its members, the interest received on deposits in business and securities is attributable to the business of the assessee as its job is to provide credit facilities to its members and marketing the agricultural products of its members. This court is, therefore, of the view that the above decision is not restricted only to the investments made by the assessee therein from the retained amount which was payable to its members but also in respect of funds not immediately required for business purposes. The Supreme Court has held that interest on such investments, cannot fall within the meaning of the expression “profits and gains of business” and that such interest income cannot be said to be attributable to the activities of the society, namely, carrying on the business of providing credit facilities to its members or marketing of agricultural produce of its members. The court has held that when the assessee society provides credit facilities to its members, it earns interest income. The interest which accrues on funds not immediately required by the assessee for its business purposes and which has been invested in specified securities as “investment” are ineligible for deduction under section 80P(2)(a)(i) of the Act. For the above reasons, this court respectfully does not agree with the view taken by the Karnataka High Court in Tumkur Merchants Souharda Credit Cooperative Ltd. v. Income Tax Officer Ward-V, Tumkur (supra) that the decision of the Supreme Court in Totgars Co-operative Sale Society (supra) is restricted to the sale consideration received from marketing agricultural produce of its members which was retained in many cases and invested in short term deposit/security and that the said decision was confined to the facts of the said case and did not lay down any law. 6. The ld. 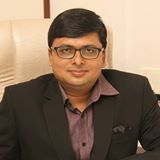 counsel for the assessee could not dispute the fact that the issue in dispute is covered by the decision of the Honourable Gujarat High Court. He alternatively contended that the matter be restored to the file of the AO with direction that only net interest income earned by the assessee from FDRs. with nationalised banks should be excluded from the claim of deduction under section 80P(2) of the Act. We find force in this contentions of the ld. counsel for the assessee, because, only net amount is always taxable for the purpose of income tax. If assessee has incurred any expenditure, which is attributable to the earning of interest income, then, the AO shall examine that aspect and exclude the interest expenditure if any incurred by the assessee for earning this interest from bank. In other words, the only net interest income is to be excluded from the claim of deduction under section 80P(2) of the Act. Appeal of the assessee is allowed for statistical purpose. 7. In the result, appeal of the assessee is allowed for statistical purpose. Order pronounced in the Court on 10th April, 2017.